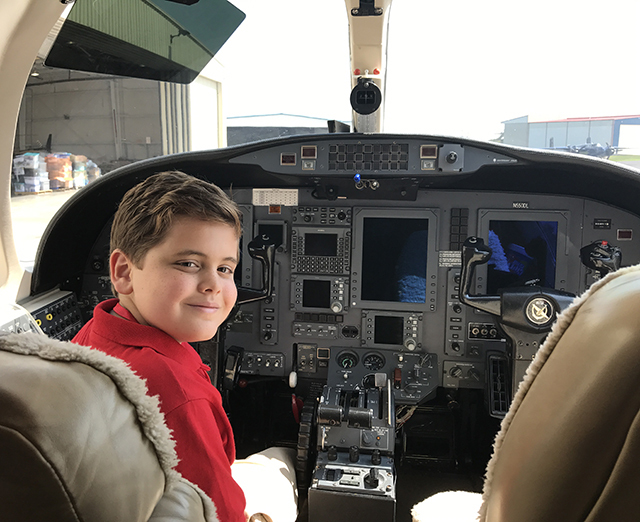 Airlifting Hope to Houston | Kid Reporters' Notebook | Scholastic Inc.
On a sweltering, cloudless afternoon in central Texas, a twin-engine jet circles above the Georgetown Municipal Airport. Pilot David Robertson is preparing to land after traveling a total of 500 miles—to Houston and back. He had delivered supplies to Houston for people affected by Hurricane Harvey. The major hurricane made landfall near Rockport, Texas, in late August. The storm traveled into Texas and moved very little for four days, flooding Houston and several other cities. During those days, some areas saw more than 40 inches of rain. The hurricane was one of the most destructive storms in United States history. It caused an estimated $70 billion in damages. Homes, businesses, and roads were flooded, and at least 71 people were killed. This map by Scholastic cartographer Jim McMahon shows the path of the storm and its varying levels of intensity. On the day of my visit to the Georgetown airport, volunteers were filling boxes and plastic bins with donated food, water, and household supplies. They were part of the Austin Disaster Relief Network (ADRN), a group that formed in response to the hurricane. “The community came together to provide help for the victims,” said Derick Zwerneman, an ADRN volunteer. Flooded roads in and around Houston presented a challenge at first. But the ADRN found a solution. René Banglesdorf, chief executive officer of Charlie Bravo Aviation in Georgetown, organized a group of volunteer pilots. Members of the Texas National Guard and Red Cross meet the planes and distribute the supplies to people in need. Inside the airport hangar, pilots got a chance to rest while volunteers packed supplies for the next shipment. Meghan Smith, 10, of Georgetown, and several other kids were lending a hand with boxes.